Christmas is a wonderful time of the year, as the song says! However, Christmas can be very stressful. Our lives are already busy enough & then we have all the Holiday tasks & activities added on to our regular schedule. It can be overwhelming! One way to slow things down each day at Christmas is by observing Advent. Advent begins the last Sunday in November & continues through Christmas Day. During Advent, families take time each day to prepare themselves for the coming of ... See More Christmas, the birth of Jesus. Each day, we take a moment to consider the impact Jesus' birth has had on our lives. Families make Advent wreaths, light the candles of the wreath each day & share a Scripture verse. This week, Jean Ann discusses Advent & shares more about the meaning. Jean Ann teaches you how to make an Advent wreath for your family. 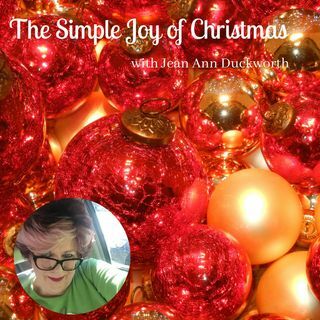 Finally, Jean Ann shares Advent lessons for the 4 weeks of Advent. Begin a new tradition in your family this year. Celebrate the Simple Joy of Advent!